Pressure sensitive alarm will alert you when your loved one or patient gets out of bed. Especially helpful for people prone to falling or with a tendency to wander. 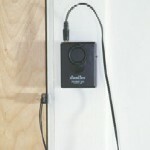 This safety alarm will alert you via an audio alarm when your loved one gets out of bed.. 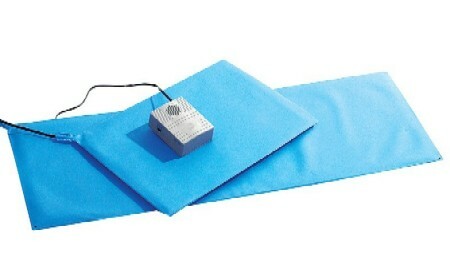 The Bed Safety Alarm pressure pad is made to go under the bottom sheet or mattress pad. The pressure pad connects to the audio alarm. The alarm comes with a safety alert, On/Off switch and low battery warning. Operates on a 9 volt battery which is included. 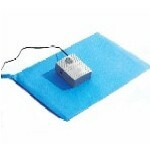 The pressure pad is 11 inches wide by 30 inches long and is covered in a waterproof vinyl. Replacement parts, both the pressure sensitive pad and the alarm are available. 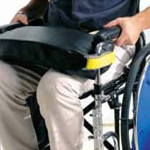 Chair sized safety alarms are also available - item number DR13605.